Abhishek told, "He wanted us to be a good citizen. He wanted us to be a person who doesn't incite violence in the name of religion. Be it Hindu, Muslim, Sikh or Christian everyone is equal over here. It is my father who lost his life this time, who is going to be the next?" 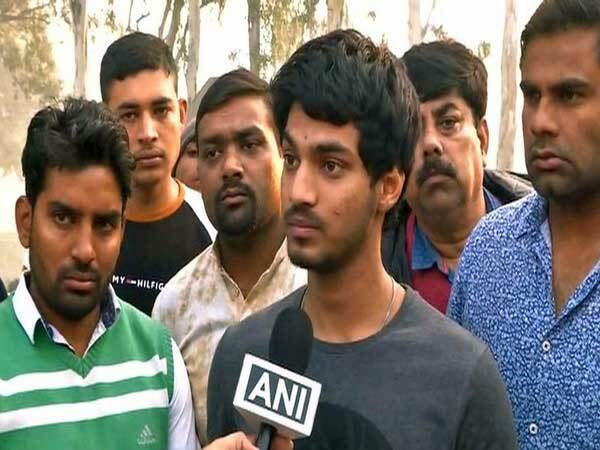 Bulandshahr: Abhishek Kumar son of deceased cop Subodh Kumar who was shot dead yesterday during Bulandshahr clashes , on Tuesday presented a brave face amid the unfortunate loss and asserted that his father always wanted his children to respect all religions.